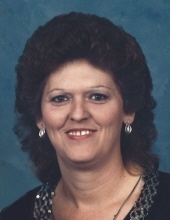 Cheryl Sue Arnett French, 68, of Terre Haute passed away Saturday morning, January 19, 2019. She worked as a purchasing agent for the Terre Haute Housing Authority. Sue was born March 4, 1950 in Sullivan, IN to Orval Arnett and Opal Mason Arnett. Survivors include her loving husband of 33 years, William Eugene French; a son, Brian Bogard (Angela) of Terre Haute; a daughter, Michelle Bogard of Terre Haute; 6 grandchildren, Danielle Compton, Devin Conder, Justin Creasey (Shelby), Amanda Bogard, Dana Conder and Kaleb Compton; and 13 great-grandchildren. Also surviving are her sister, Jean Hoesman of Florida; a brother-in-law, Dale French (Vicki); a sister-in-law, Margie Arnett; mother-in-law, Vonda Russell; and several aunts, uncles, nieces, nephews and cousins. She was preceded in death by her parents; and four brothers. Sue was a graduate of Sullivan High School and had formerly worked as a supervisor at Hercules Corporation. She was a member of Kings Harvest Four Square Gospel Church and VFW Auxiliary #972. Sue dearly loved her family and was the rock that held them all together. Funeral services will be conducted at 12:00 Noon, Wednesday, January 23, 2019 in Callahan & Hughes Funeral Home, 605 South 25th Street, with Pastor Dennis Leek officiating. Burial will be in Center Ridge Cemetery in Sullivan, IN. Funeral information may also be found at www.callahanandhughes.com . To send flowers or a remembrance gift to the family of Cheryl Sue Arnett French, please visit our Tribute Store. "Email Address" would like to share the life celebration of Cheryl Sue Arnett French. Click on the "link" to go to share a favorite memory or leave a condolence message for the family.